Angelina Hunter is a UK mystic who integrates music, dance and magick into her artwork. 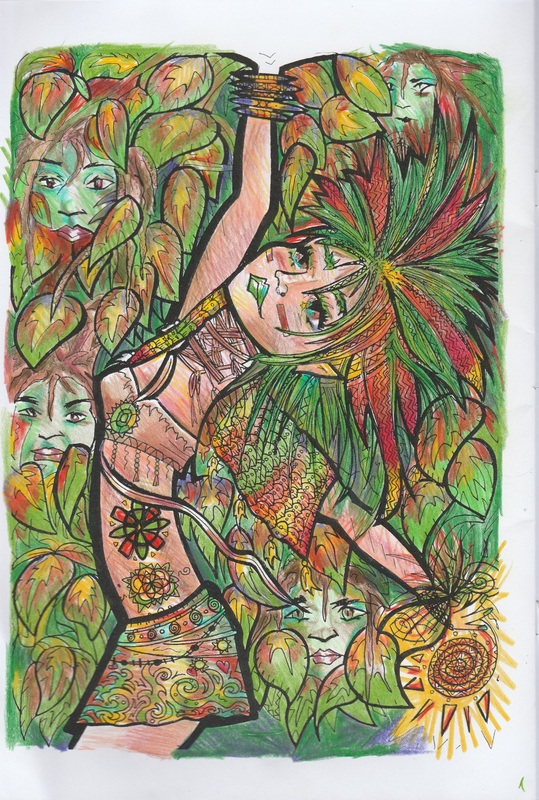 She has created and released two coloring books that utilize the art of coloring and meditation to foster a calm mind and get in touch with feminine power. 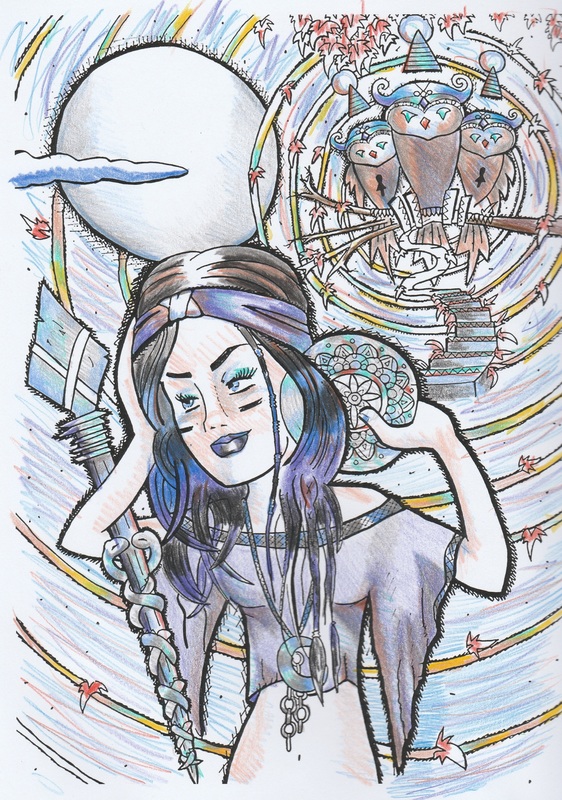 Check out blank pages from her book below as well as some of the images that I colored! I took some time to catch up with Angel and ask her some questions about her art and inspiration. Magdalena Tarot: What inspired your art? MT: You use a lot of mystical symbolism in your work. What drew you to mysticism? AH: Not being blinded by people’s negativity. Hope- faith-surrealism dreams. Jim Henson’s work and how he made a world up with his imagination. Nighttime. Connections. All of it. MT: What experiences do you hope people have while coloring your work? AH: To believe in a higher source of existence. That music and vibration is EVERYTHING. I want people to know that they are safe and loved in this world. Meditating and creating is just another beautiful outlet. The main thing I want is for people to feel good about themselves and spark people’s creativity so they level up their hearts. MT: Do you think creativity is a form of magick? If you would like to purchase a coloring book from Angel, you can find her on Facebook. 15 pounds each or 2 for 25. Shipping charges vary according to where you are in the world. Ships worldwide. This entry was posted in art, Astrology, Books, dreams, mysticism, occult, Qabalah, Runes, spirituality, Uncategorized, witchy and tagged art, magick, manifestation, mantra, meditation, motivational, mysticism, occult, self help, spiritual. Bookmark the permalink.